Good morning and welcome to another reading roundup. This was another week of nightshifts so a lot of audiobook consumption was involved. Here are some of the books I enjoyed this week. The Wicked Will Rise is the second novel in Danielle Paige’s reimagining of L Frank Baum’s Oz in which Dorothy has turned evil. Some of you who read my review of the first novel, Dorothy Must Die, may remember that I had a few issues with it, notably the pacing and the audiobook production. I am happy to say I found no such issues with the sequel. I found the pacing much more lively and consistent and it kept me listening along. I would strongly suggest that you read the e-novella The Wizard Returns beforehand – it’s not strictly necessary, but it will fill in a few blanks. The protagonist, Amy Gumm, continues to be kickass and engaging and I loved hearing the continuation of her story. I found some of the situations and emotional problems she has to deal with very well done. The narrator, Devan Sorvani, once again did an excellent job of bringing her to life and the production was much better this time in that there were no annoying long pauses between paragraphs. What I particularly enjoyed about this book was that it took the story in a completely different direction – and a new and interesting direction – than what I had been expecting. It’s always excellent when an author can surprise you. I really look forward to book three now. 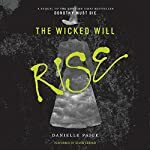 I picked up The Wicked Will Rise in both Kindle and Audible format and gave it five stars out of five. I had been eagerly awaiting this fourth instalment in Peter V. Brett’s Warded Man cycle.. I’ve only just started it, but so far there have already been a couple of WTF?!? moments. One thing that did strike me though was how much in-world Krasian jargon Brett uses that I’d forgotten about – it’s been a while since I read/listened to Daylight War. The first section of the book that I’ve been listening to deals with the Krasians and every fifth word or so it seemed was a made up Krasian word. I eventually had to open the Krasian dictionary on my computer as a reference so that I could remind myself what khaffit, Jiwah Ka and other phrases meant. It did put a real hurdle in my enjoyment of the book, but I’m sure I’ll overcome that. 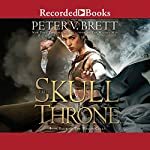 I picked up The Skull Throne in both Kindle and Audible formats. 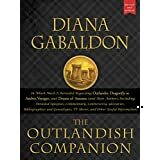 The Outlandish Companion is, as it says on the tin, a companion volume to books 1-4 in Diana Gabaldon’s Outlander series. It is written by Gabaldon herself and has been freshly updated to include information and behind the scenes titbits on the Starz TV show. The book is a fascinating mixture of reference material – synopses, character lists – and anecdotes from Gabaldon about her experience writing the novels. As I’ve only read 2.5 of the four books, I have had to be a little careful to avoid spoilers, but otherwise I found the book engrossing. I’ve treated it more like a reference book – jumping to the chapters that interest me. Gabaldon’s wit and intelligence really come across in this book. As a bonus, reading it has FINALLY managed to get me across that reading hump I experienced about a third of the way through Voyager. Three times I reached the same point, put the book down and got stuck at the same point when I came back to it. Thinking about it, it’s because for me, that point seems to be the natural conclusion of the framing story started in Dragonfly in Amber and I really, really struggled to get past it. I’m now happily well beyond it and becoming once again sucked in to Jamie and Claire’s next adventures. I picked up The Outlandish Companion in Kindle format only. Other than the books mentioned, I have added two other books to my library this week – my poor bank balance. Given my revived interest in the Outlander books I preemptively purchased the Kindle and Audible books of book four in the series, Drums of Autumn. Yay for Whispersync for Voice – the audiobook cost me $3.99 instead of nearer $40. Bargain! Mark Lawrence recently released a short story in his Broken Empire world – Sleeping Beauty: A Broken Empire short story. Now, I’ve not read it yet, but based on the author and the synopsis, it has to be a winner. I picked it up in Kindle format. Thats all I have time for today folks – Claire and Jamie call. Talk to you next week!